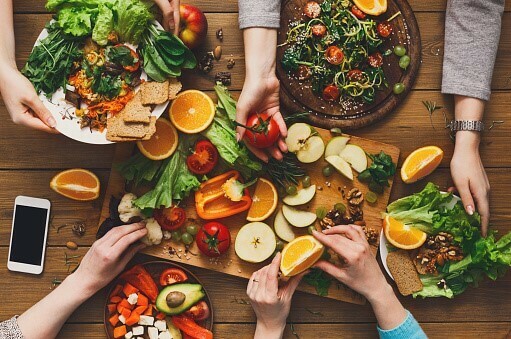 Making the decision to embrace a plant-based diet, whether as a Vegetarian or as a Vegan, can have a life changing impact on health and well-being. Many people report feeling healthier, having more energy and notice an improvement in the progression of chronic illnesses once they remove meat and/or dairy products from their diet. If you have always eaten a conventional western diet, which incorporates animal products in fairly large quantities, eliminating them from your diet can cause significant changes in the type of nutrients your body receives, as well as the quantities of vitamins and minerals provided. Sometimes adjustment to a new way of eating takes time or requires the ingestion of larger amounts of particular foods in order to avoid nutritional deficiencies. If you are eager to embrace the benefits which a Vegetarian or Vegan diet may bring, but are concerned about the impact a diet free of animal products may have on the quality of your nutrition, read on to discover why there is nothing to fear. If you don’t know quite where to start when it comes to going meat free, why not ask our Dietitian or Clinical Nutritionist for some advice? At the Brisbane Livewell Clinic, we offer high-grade dietary advice which is personalised to meet your individual requirements. Not only do Vegetarians and Vegans need to eat a wide variety of foodstuffs to make sure they get all the micro-nutrients that they need for optimal well-being, but some people may also need to adjust their diet in order to take account of pre-existing medical conditions, allergies or intolerances. We can work with you to support and modify your chosen dietary regime, tweaking it so that it provides optimal nutrition for your individual situation. This type of structured approach ensures that you are able to make the switch to a plant-based diet without putting any undue stress on your metabolism. Although a Vegetarian or Vegan diet can provide the vast majority of nutrients needed for health, the less variety there is in the foods that you eat, the easier it is for a nutritional deficiency to occur. In addition, some people (for example older people or those with a chronic illness) may need to take on additional vitamins, minerals or plant compounds in order to enjoy the very best health. We work with each of our patients to devise a supplement regime that will ensure they receive the nutrients they need. Studies show that the right sort of nutrition can have a powerful effect on a range of medical conditions. Anything from mental health problems through to diabetes, fibromyalgia and more can benefit from taking on board appropriate nutrients. Our Dietitian and Clinical Nutritionist can complete a detailed medical assessment of your requirements. Using their expert knowledge, they can pinpoint areas where additional nutrients, often in the form of herbs or carefully chosen supplements can be used to have a physiological benefit on the disease’s pathology. In many cases, a carefully chosen plant-based diet, used alongside the right type of supplementation, can really make a positive difference to many different long-term health conditions. Following a Vegetarian or a Vegan diet is not necessarily a guarantee of eating well! Vegetarians and Vegans are as capable as meat eaters of making bad dietary choices. Considerable work is needed to ensure that if you choose not to eat meat or dairy products, you are still getting all the nutrients you need. Some people tend to opt for either a highly restrictive diet when they decide to go meat-free, or conversely compensate for feelings of “missing out” by consuming large quantities of Veggie junk food. Neither of these two extremes are healthy choices, particularly in the longer term. We work with our clients to modify and support their dietary preferences, at the same time as providing them with eating choices which maximise nutrition at the same time as being palatable and offering a sustainable choice. Research shows that gradual, positive dietary changes are often the best way forward. More and more people across the country are making the decision to go meat and/or dairy free. Whether you are doing this for ethical reasons, or because of the health benefits, it is important to ensure that your body continues to receive all the nutrients (particularly micro nutrients) which it needs for health. At the Brisbane Livewell Clinic, we can advise on suitable nutrition for diets which are free of animal products, giving you the information you need to optimise the healthy choices you are making. We can also advise on additional supplementation, offering a tailored nutritional solution that helps Vegetarians and Vegans find a diet that works for them and supports their commitment this life change.